image from 1918 Suffolk Chronicle &Mercury Newspaper. Born: 10th March 1898, Ipswich. 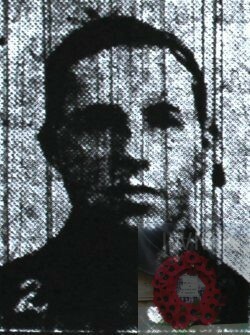 Died: 7th June 1918; age 20; KiA. Residence: 34, Bell Lane, Ipswich. Employed: Messrs. Cranfield Bros. Ltd.
Enlistment Details: Bury St. Edmunds, Suffolk. Date: 1st December 1916, age 18 years & 2 months. Religion: CofE; Occupation: Flour Miller. Regiment: East Yorkshire Regiment, 1st/4th Battalion. Relatives Notified & Address: Son of Charles & Elizabeth Cuckow of 34, Bell Lane, Ipswich, Suffolk. 1901 34, Bell Lane, Ipswich. Sidney was 3 years old and living with his parents & siblings. Charles Burns Cuckow, 46, a Labourer, born Ipswich, Suffolk. Elizabeth Matilda Cuckow nee Glading, 44, born Ipswich. Annie Maud Cuckow Glading, 18, a Tailoress, born Ipswich. Charles Thomas Cuckow Glading, 15, a Machinist, born Ipswich. Daisy Caroline Cuckow, 13, born Ipswich. Thomas Henry Cuckow, 11, born Ipswich. Percy Walter Cuckow, 9, born St. Peter’s, Ipswich. Grace Elizabeth Cuckow, 7, born Ipswich. Edwin Harold Cuckow, 5, born Ipswich. Elizabeth May Cuckow, 4, born Ipswich. 1911 34, Bell Lane, Ipswich. Sidney was 13 years old, he was at school and a News Boy. Sidney was living with his parents & siblings. Charles, 57, a General Labourer at a Corn Mill. Charles, 25, a Boilermakers Assistant at Iron Foundry. Edwin, 15, a Bakers Assistant. Sidney’s brother, Percy Walter Cuckow also lost his life on the 28th June 1919, from a Gun Shot Wound to the right arm received at Guillemont, France, on the 30th July 1916. A Private for the Bedfordshire Regiment, service number 26431. Percy was 27 years old, he was married, and had a young daughter. Percy was laid to rest at the Field of Honour, Ipswich Old Cemetery. Sidney is also remembered on the war memorial at St. Peter’s Church and at Dance East, Jerwood Dancehouse, Ipswich. Formerly Cranfield’s Flour Mill.